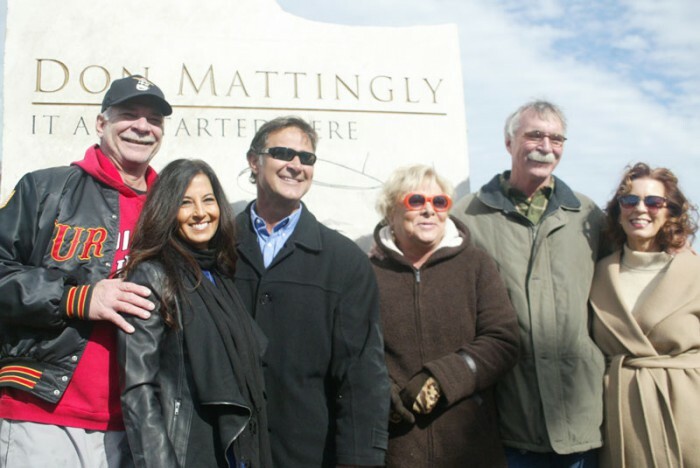 On November 23, 2013, North Main Street in Evansville was officially renamed, Don Mattingly Way. The dedication ceremony was attended by Don and his family, mayor Lloyd Winnecke, members of the Tri-State Hot Stove League and the many individuals and business that helped to make this happen. Signs were created to mark the entrance to the roadway and along the route near Bosse Field. A seven foot limestone statue was also unveiled near the Garvin Park little fields where Don learned to play. Bosse Fields new address will now be, 23 Don Mattingly Way.